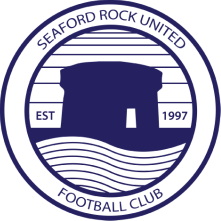 Luke made his Seaford debut with a clean sheet in a Deane Cup win over Cloghertown United and made several more impressive appearances for the seconds during their strong finish to the 2016/17 canpaign. Known for his Higuita-esque flamboyance with the ball at his feet as well as his feline reflexes, Ginnell delivered a man-of-the-match display in the final game of the season, making some breathtaking stops in a 3-2 win over title-chasing Kill Celtic. .
His interests/talents include cricket basketball.and online trivia quizzes.